Christy Barattino comes on the show to talk about the big New York City Fundraiser on June 7th. The event will be held at the Brazen Tavern. The address is 356 West 44th Street, New York, NY 10036 from 6pm to 9 pm. 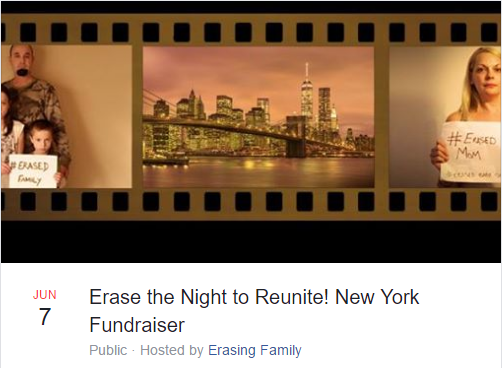 Proceeds go to support the Erasing Family documentary. 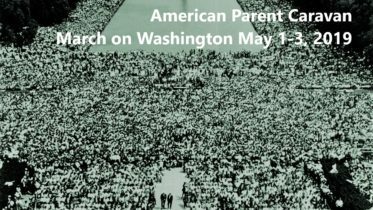 Get your tickets at http://erasingfamily.org and listen to this podcast for more information. Millions of children have a loving parent erased by the family court system after divorce or separation. Erasing Family is the first documentary aimed at young adults to encourage them to reunite with their erased families. If you are the adult child of divorce or a mom, dad or relative who can´t see their kids, your contribution is a vital step to make divorce healthier for families. Erasing Family and its accompanying awareness campaign will encourage schools, politicians and court officials to respond to this growing public health crisis. The film will show how shared parenting can help prevent future childhood trauma, as kids have the right to relationships with their entire family. You can be part of the solution by supporting our film fund. Your donation will help Erasing Family expose that family bond obstruction is an international problem by supporting a team of filmmakers with a track record of making high-impact films that create change. 1 Comment on "03 Episode 03 Christy Barattino from ErasingFamily.org talks about June 7th Fundraiser"
Amazing podcast from Christy who put herself in God’s hands and you for your faith and work!